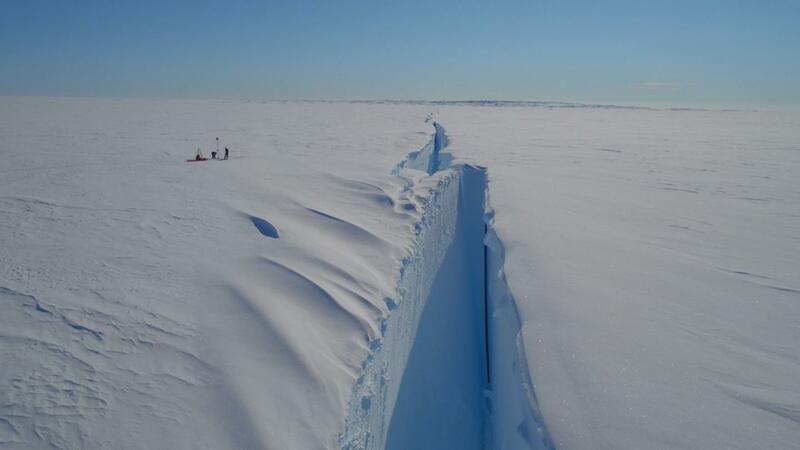 The edge of the Brunt Ice Shelf. Photo by Jan de Rydt, Northumbria University. Scientists are expecting a big piece of iceberg in the Antarctica to break away at any time now, as two cracks inch towards each other. The Halloween Crack was discovered in October 2016. The Brunt Ice Shelf currently has two cracks (Chasm 1 and Halloween Crack) that are growing larger. When the two intersect, a large piece of the iceberg, measuring more than 1,500 square kilometres, will break away into the ocean. “Once the iceberg breaks away from the Brunt Ice Shelf, it is likely to drift towards the west and slowly break up into smaller icebergs,” said Dr Jan De Rydt, of Northumbria University. 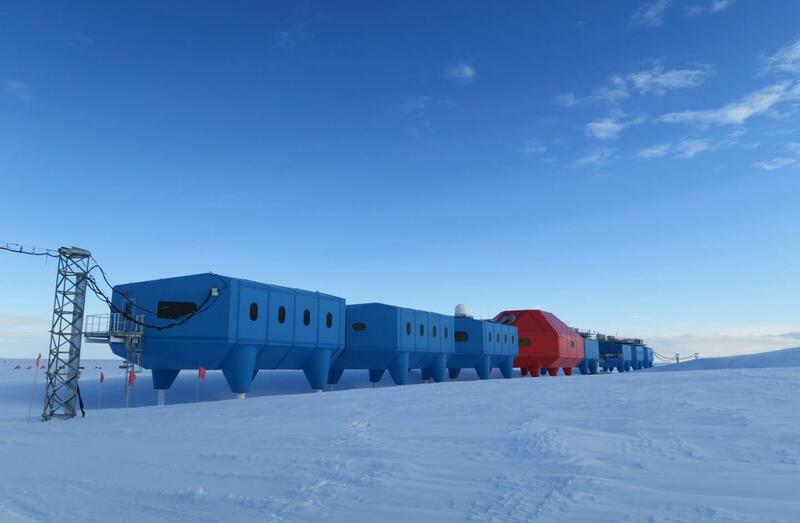 The British Antarctic Survey’s Halley Research Station, which was previously situated on an affected section of the iceberg, has been moved to a safer location. “We have been tracking the movement of the ice shelf for many years and our modelling indicates that this breakaway is entirely expected,” said Professor Hilmar Gudmundsson, also from Northumbria University.